We've been playing Loony Quest for a couple of months now, and this very different 'board game' has proven a massive hit in our house. 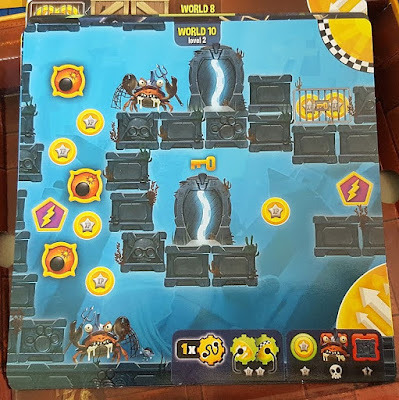 Just as much fun for my 7 year old as it is for the teenagers and adults, it plays through levels like a platform video game, beating the bad guys and collecting bonus points as you try and survive to the end. All the best video games have expansions to give you a little bit more, and so does Loony Quest. 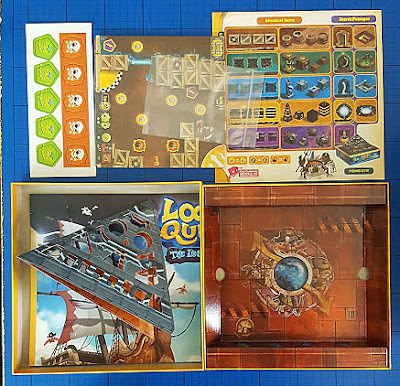 We've been sent the Loony Quest: The Lost City Expansion. This is an add-on pack, so you need the original game (here's our Loony Quest Game Review) in order to play the Lost City levels. 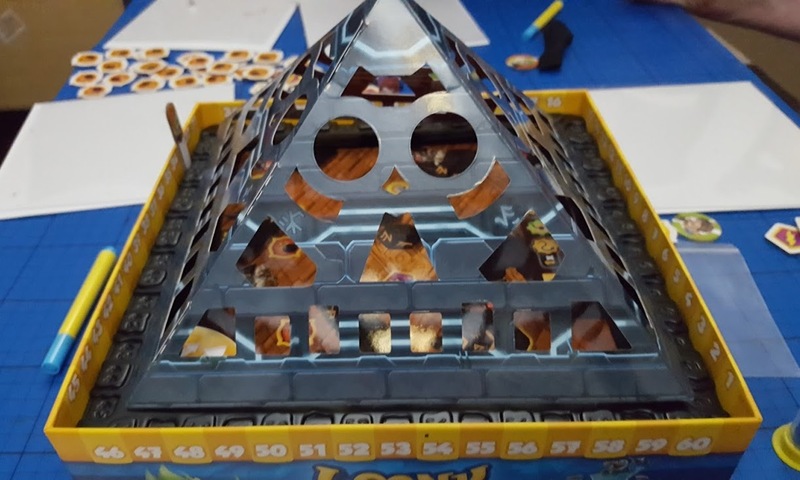 Inside the beautifully illustrated box is a big 3D pyramid. This was a complete pain to put together, but once together does at least stay that way mostly. A fantastic touch is the inclusion of a small sealable plastic bag to store the additional expansion pack bonus and penalty counters afterwards separately from the main game - so simple, and makes such a difference. 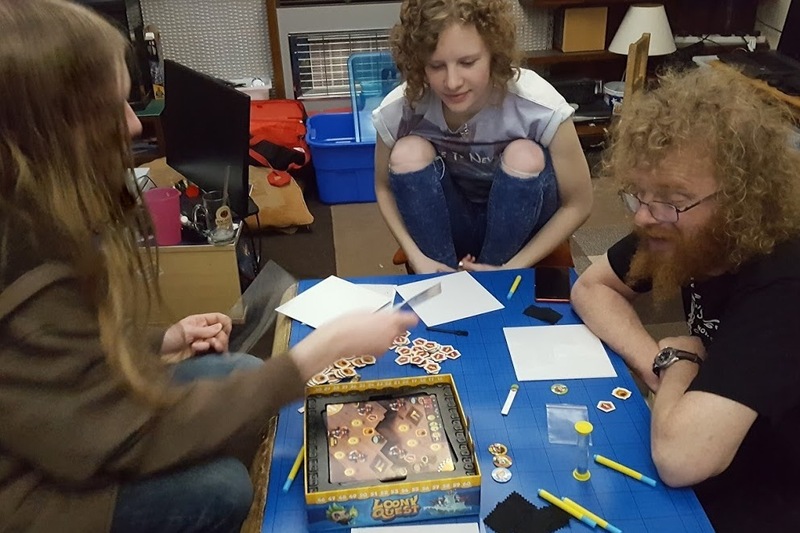 As well as the pyramid and 10 new bonus/forfeit counters, there are 16 new double-sided level sheets to be played through. 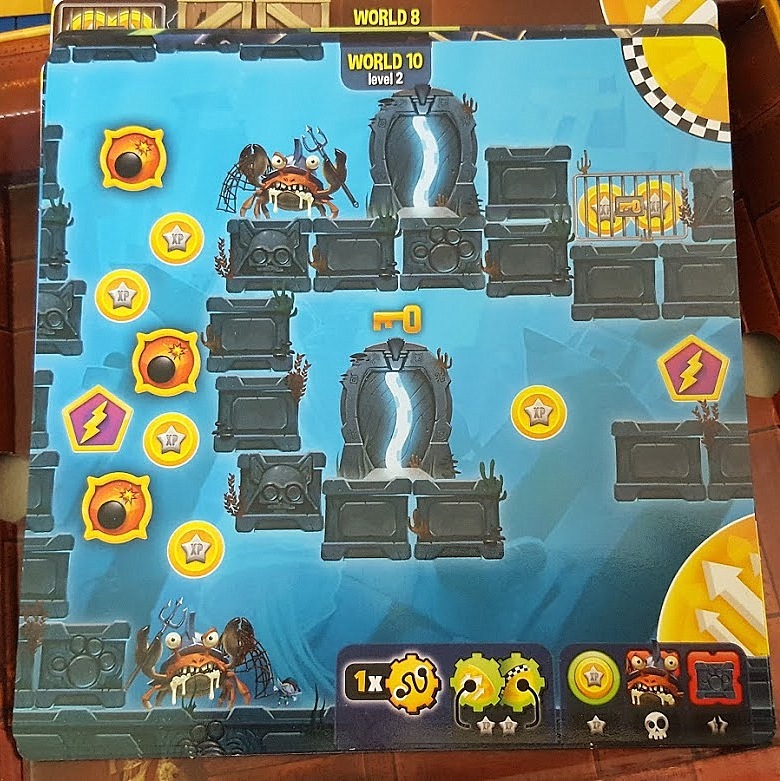 The Lost City Expansion contains 32 extra levels, 6 each for 5 worlds plus 2 bonus levels, with a deathly boss level at the end of the world. As with the original game the aim is to draw a pathway from a start point, collecting bonuses and missing walls and bad guys, scoring as many points as possible. The tricky part is that you are drawing on clear plastic away from the game board, then overlay your plastic to see how close you were. 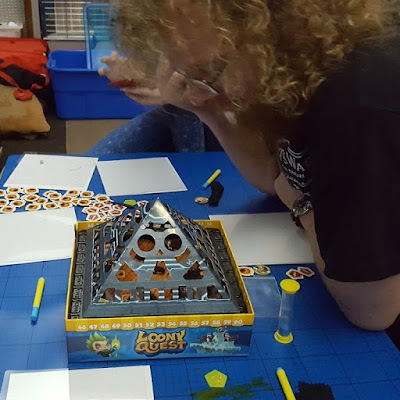 The Pyramid Spaceship is actually to obscure your view as you try to draw a pathway through the obstacles on the level. It does make it much harder to judge, and if you thought you were really good after playing some of the original levels, you are knocked down a peg! Suggested playing time is 20 minutes. Each level sheet takes around 15-20 minutes with 4 players we've found, so playing through all 32 levels is some commitment, and we generally only play 1 or at most 2 worlds (6-12 levels) in an evening. 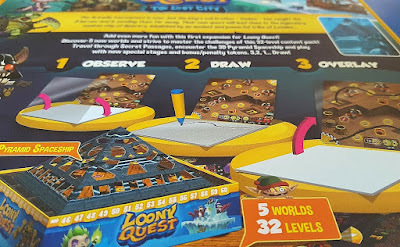 We love Loony Quest, and the expansion is only more good stuff. Well worth the price as it has masses of gameplay before you even get through all of the levels once. Great for adults and teenagers to play together, and if you have the ability to laugh at your own failures, it's hilarious. 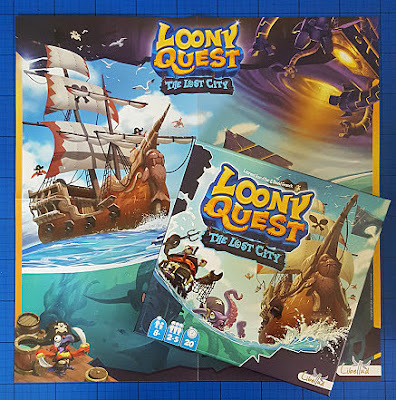 Loony Quest: The Lost City Expansion has a recommended price of £11.99 (Loony Quest has a recommended price of £19.99). Available now and recommended for age 8+. 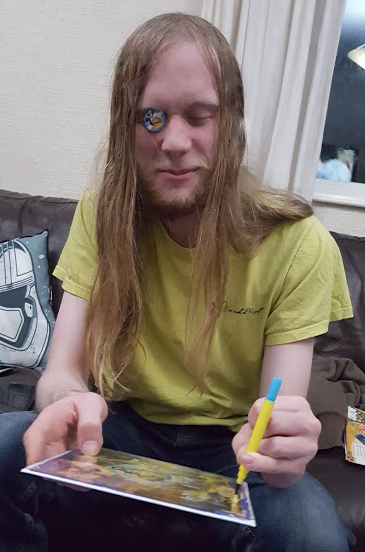 Made by Libellud and distributed in the UK by Esdevium Games. To find your nearest stockist see their Store Locator or buy online on Amazon. We were sent our copy of Loony Quest: The Lost City Expansion to review. Striped Hama Beads Review and Bundle Giveaway! A visit to London with Skylanders Imaginators! Children's Celebrity Drawing Quiz (Just For Fun).